Christoph is one of Torqeedo's co-founders. In his function as CEO he is responsible for the strategic direction of the company and for developing the Torqeedo organisation. He also plays a major role in managing Torqeedo's product strategy, brand development and the company's financing. Since the company's foundation Christoph has played a key role in planning all Torqeedo products, for which the company has won numerous international prizes for innovation. During the early years of the company he was also responsible for all sales activities and gaining entry into many international markets, including the establishment of the company's subsidiary in Chicago. Prior to founding Torqeedo, Christoph worked for Gardena, the number 1 on the European gardening market. His final position was that of CEO of Gardena Deutschland GmbH and he was responsible for business development in the company's most important market. Christoph began his career with McKinsey & Company. He worked for fives years as a management consultant, primarily for clients from the European consumer goods industry. Christoph studied business administration at the Otto-Friedrich University of Bamberg, where he also gained a PhD with research into market models and market revolutions in the specialist field of marketing. Torqeedo's technological market leadership continues apace under Ralf's guidance. With a wealth of experience from managing production and manufacturing processes in the technology sector, as CTO he is responsible for all technical areas at Torqeedo, ranging from research & development and procurement to quality, production and service. In his function as COO, Ralf also oversees Torqeedo's operational structures and processes and their continuous optimization. 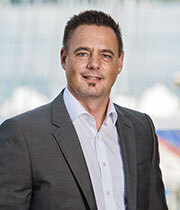 Ralf worked in a number of senior management positions before joining Torqeedo. At Q-Cells, a global leader in the solar industry, he led central corporate divisions in a number of different functions such as Senior Vice President Planning & Supply Chain Management and Director Business Management, Engineering & Planning. During this period he was in charge of organizations with a staff of up to 250 employees, he was responsible for handling purchasing volumes of up to 500 m Euros per annum, and he set up a manufacturing line in Malaysia. He also worked in various positions at Infineon Technologies, Europe's second largest semiconductor manufacturer. He led research and development for IC Packages and was responsible for technology and production in one of Infineon's wafer fabrication plants. Physics and mathematics form the basis of his sound education in Germany and Japan. He graduated with a degree in physics from the University of Stuttgart and gained a PhD from the Max Planck Institute for Solid State Research. As Chief Financial Officer (CFO), Heiko has been responsible for the commercial department at Torqeedo since the end of 2017. Heiko came to Torqeedo from parent company DEUTZ AG, where he was in charge of controlling for products, projects and joint ventures. Together with his team, he drove forward a number of important operational and strategic projects and decisions. He also accompanied the acquisition of Torqeedo by DEUTZ in 2017. Prior to that, Heiko was corporate controller at the listed steel and metal trading group Klöckner & Co., where he was responsible for providing commercial support to several foreign subsidiaries as well as for special subjects. 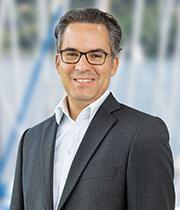 Heiko began his career with auditors PricewaterhouseCoopers (PwC), where he worked for a number of years in auditing as well as in consulting and was also involved in numerous corporate valuations and transaction projects for a wide range of companies. Heiko is of great importance for integration of our company into the Deutz group thanks to his wide-ranging commercial experience. As part of our innovation-driven growth trajectory, he is continuing to develop the commercial structures and processes of our relatively young company. Heiko studied business administration at the University of Mannheim, graduating with the degree “Diplom-Kaufmann” (cf. MBA). During his time at PricewaterhouseCoopers, he also acquired the additional qualification of Chartered Financial Analyst (CFA). And a big plus for us is that, as an enthusiastic tennis player, Heiko keeps his eye on the ball at all times. Christian has been responsible for sales at Torqeedo GmbH since 2014. His many years of international experience in sales, marketing and management, his marked technical background and, last but not least, his multicultural roots make him ideally suited for this task. Before joining Torqeedo, Christian spent five years in the renewable energy sector – as Managing Director of Smartenergy Renewables Deutschland GmbH and as COO of Smartenergy Renewables AG. He was responsible for sales in Europe, the Middle East, North Africa and India at Nanosolar and European sales at Solyndra. Prior to that, Christian had worked for 15 years in the semiconductor industry, always at the leading edge of technical innovations. 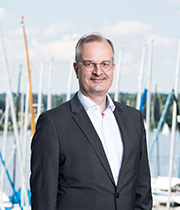 He marketed high-end products for Qimonda, Infineon Technologies, Giesecke & Devrient and Siemens on the international stage, holding a number of management positions. Christian holds a degree in physics from the Ludwig Maximilian University of Munich, a master's degree in semiconductor physics and microelectronics from Cambridge University, UK, and showed an early interest in the market potential of technologies. He undertook research at the Max Planck Institute for Astrophysics into high-resolution detectors that today orbit the earth in satellites. At Siemens Semiconductors in the 1990s he and his colleagues launched what were then the most highly integrated memory chips. 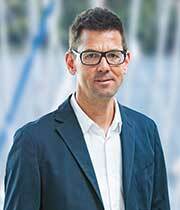 With over 20 years of experience at the forefront of the development of electric motors, Jens is an acknowledged expert in all questions relating to propulsion technology and high-performance electronics. Torqeedo owes its leading position in the field of high-voltage propulsion technology to his expertise in this area – he introduced this technology at Torqeedo and it forms the basis for the Deep Blue family of products launched in 2012. Before coming to Torqeedo, Jens had been responsible for the "high-performance electronics" development team at Magnet Motor GmbH, a well-known manufacturer of high-performance electric motors in the automotive, aerospace and defence sectors. Here he played a major role in the development of new types of performance electronics, engine principles and electrical technologies. The projects he led ranged from 30-kilowatt to 4-megawatt electrical motors, in terms of horsepower: 40 hp to 5,500 hp. 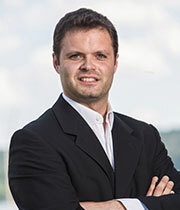 Jens holds a degree in electrical engineering from the University of Dresden and has been with Torqeedo since 2010. With significant success and a wealth of experience in innovative technical solutions – from large drive units to small electrical machines – and the transfer of innovations into series production, Frank is another valuable asset in our management team. Frank has been responsible for all aspects of mechanical development, from planning and design to testing and production release since 2015. Frank looks back on a variety of positions in technical product and innovation development. His first post with ZF Friedrichshafen laid the foundations for his expertise in drive engineering. He spent six years in his second position at MTU Friedrichshafen developing diesel engines for heavy vehicles before becoming project manager for the development and productionisation of high performance vehicles at Mercedes-AMG. After a number of successful production start-ups of AMG vehicles, Frank moved to Hilti, where he was responsible for preliminary development for electrical tools and accessories for a total of six years. Before joining Torqeedo, Frank was applications engineering manager at Klueber Lubrication, a leading manufacturer of lubricants. Frank graduated from RWTH Aachen with a degree in mechanical engineering. Steve is President of Torqeedo Inc., a wholly owned subsidiary of Torqeedo GmbH located in Crystal Lake, Illinois. Steve has been responsible for launching Torqeedo products on the North American market, from Travel to Deep Blue. His wide-ranging experience in sales and marketing in the high-tech sector and his excellent feel for trends in the nautical industry have reaped great success for Torqeedo in the USA and Canada. Besides leading the US team and acquiring new customers, Steve has ensured Torqeedo's constant presence in the media in North America and helped us achieve a strong market presence within a short period. Steve is a high-tech product sales manager to the core. Before joining Torqeedo, he worked as sales director for a number of Silicon Valley start-ups, helping them achieve sales and growth. 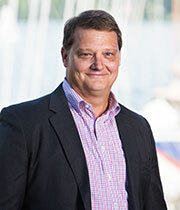 His understanding of IT products led him to Red Oak Marketing, a provider of online marketing strategies in the marine industry. And from there it was just one small step to Torqeedo. Steve is a graduate of Macalester College in St. Paul (Minnesota) with a double degree in political science as well as law and social science. Daniel is responsible for quality and service at Torqeedo. His focus is on ensuring the highest standards of product quality and shaping quality management systems at Torqeedo. In the event of warranty claims or repairs, it is thanks to his team in Germany and his service partners around the world that our customers can continue to enjoy our products in the shortest possible time. Daniel also leads the high-voltage service team, which provides support to boatbuilders and users in the professional installation and maintenance of Deep Blue high-voltage drives. Besides managing his team and service partners, Daniel also represents an important interface between our customers and our engineering department, providing a constant stimulus for the further improvement of our products. Before working for Torqeedo, Daniel was a team leader in the area of quality assurance at BMW in Munich responsible for performing "customer oriented testing of pre-series and production vehicles". Daniel is an industrial engineer with a degree from the University of Applied Sciences in Munich. Oliver is responsible for worldwide marketing and communication strategies at Torqeedo. 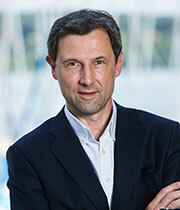 Prior to joining Torqeedo, Oliver was Head of Marketing Communication and Brand Strategy for Hyundai Motor Europe. He was responsible for overseeing the development and implementation of Hyundai‘s pan-European strategy and campaigns, with a particular focus on digital transformation as well as content, brand and mass marketing activities. When launching the Hyundai Ioniq – the world’s first car offering three electrified powertrains – Oliver already gained experience in marketing electric mobility. Before working for Hyundai, Oliver held various management positions in the automotive industry and in marketing consulting. He worked for Fiat Auto, BBDO Worldwide, Millhaus and Allianz Global Automotive, among others. He holds the German equivalent to an MBA with focus on marketing, innovation management and advertising psychology from Ludwig-Maximilians-University in Munich. Oliver is a boater and regatta sailer.